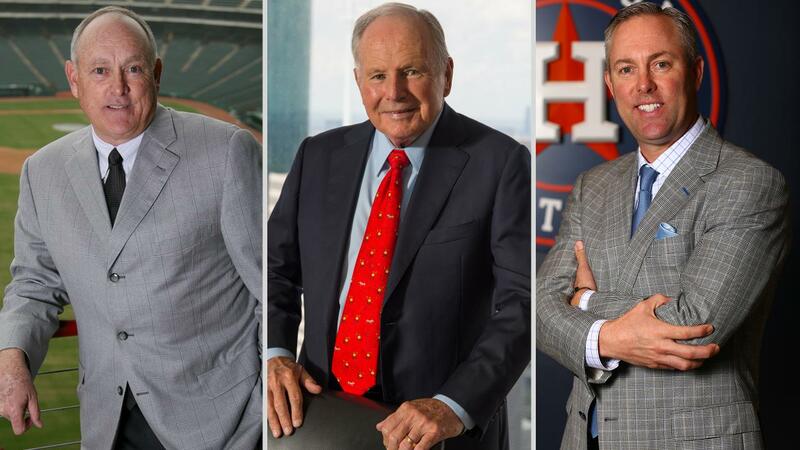 CORPUS CHRISTI - Hall of Fame pitcher Nolan Ryan, Astros President of Business Operations Reid Ryan, and Ryan Sanders Baseball Principal Owner Don Sanders are slated to anchor a question-and-answer session at the South Texas Winter Baseball Banquet, presented by Whataburger. The 15th annual event is Thursday, January 24, at the Omni Hotel in downtown Corpus Christi. Doors open at 6:15 p.m.
Tickets, priced at $55, are on sale now at the Whataburger Field Box Office. Order via phone at 361-561-HOOK (4665). VIP tables are also available. Texas Rangers broadcaster Matt Hicks, the original "Voice of the Hooks," will reprise his role as banquet emcee. The evening culminates with Sanders receiving the South Texas Lifetime Achievement Award for his philanthropy around the state and his efforts to help bring Hooks Baseball to Corpus Christi. The Hooks will honor high school coaches Thomas De Los Santos (Santa Gertrudis), Teresa Lentz (Calallen), Mike Medina (Bishop), and Lee Yeager (Veterans Memorial) for their outstanding 2018 campaigns. The 2019 South Texas Preseason High School All-Star Teams will be recognized. The squads are comprised of 60 softball and baseball standouts from 23 high schools. Harrison DiNicola and Ashley Smith of Texas A&M-Corpus Christi and Texas A&M-Kingsville's Levi Zents and Roxy Chapa will also be presented as area collegiate players of the year. The Mike Adams South Texas Professional Player of the Year is Mike Franco, a Moody High School alum who is pitching in the Tampa Bay Rays system. For live updates on the 2019 South Texas Winter Baseball Banquet, RSVP at our Facebook event page.